This is one of my favorite crazy songs from the 80s. This DS106 assignment called for the creation of a simple image for a song title. This one is fairly obvious, but still a little fun. I imported the lobster and guitar to fireworks. 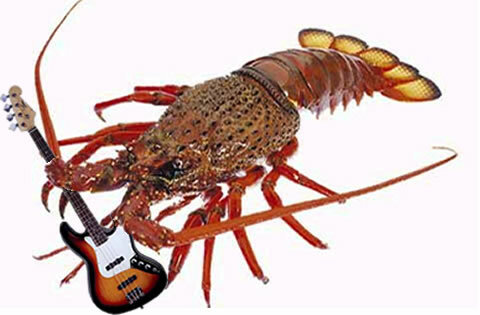 I used the magic tool to select the guitar and inserted it to the lobster image. I then selected small portions of the guitar and cut them out to make it appear to be held by the lobster. TA DA! simple. Lobster image courtesy of this website, guitar here. This entry was posted in Uncategorized and tagged DesignAssignments, DesignAssignments94, ds106 by Nikkapotamus. Bookmark the permalink. Well done, it was so easy because you made it that way.